Place eggs in a saucepan and cover with an inch of water. Bring to a boil. Reduce heat and simmer eggs 10 minutes. Drain and add cold water to the pot. Let eggs sit in cold water a few minutes. Peel eggs. Cut each egg in half and scoop yolks into a small bowl. 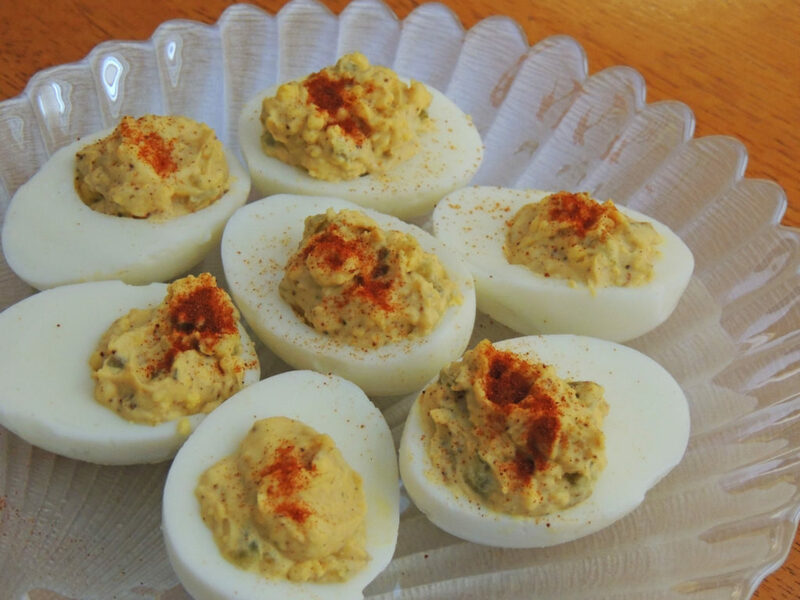 Mash the egg yolks with a fork and mix in the mayo, mustard, jalapeño, chili powder, and salt and pepper to taste. Add a little more mayo if it seems dry. Arrange egg whites on a platter. Spoon filling into cavities evenly and sprinkle with a little paprika. Serve immediately or store covered in refrigerator until ready to serve.